Hey friends! Today I’m sharing a layout I created using the March 2018 Hip Kits. I did a lot of fussy cutting, and I altered some thickers to fit my layout. I used the Hip Kit Club Main Kit and the Project Life Kit for my layout. Last summer, we went to an American Girl Doll store at the Mall of America while on vacation, and my daughter got her very first AG doll as an early birthday present. It was a dream come true for her, and it was such a magical day. Her smile just lit up her face! As soon as I saw the Dear Lizzy floral paper in the kit, I knew I wanted to fussy cut it. I kept it out with a pair of scissors on my counter in the living room, and when I had a spare minute, I would fussy cut a flower out. Next thing you know, I had the whole paper fussy cut. I have been loving big titles lately, so I incorporated the fussy cut flowers into my title. 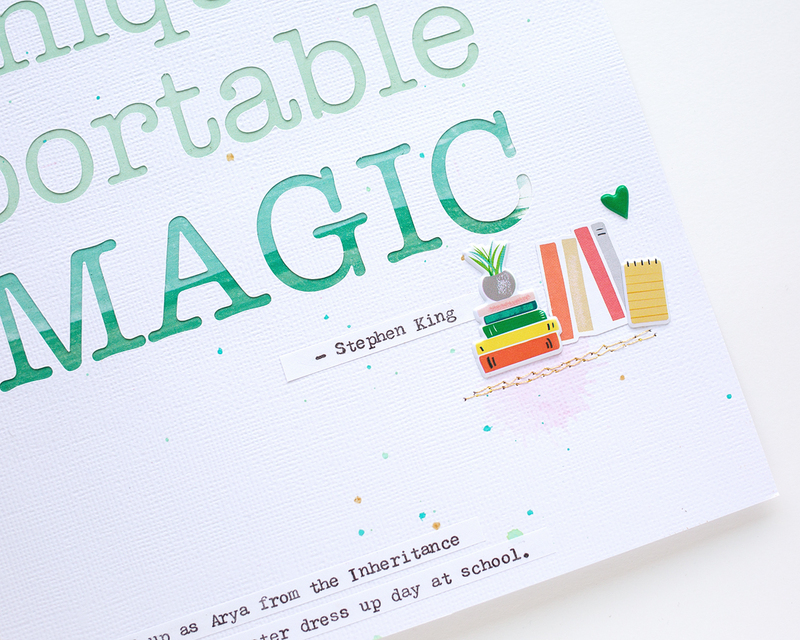 I cut out the word MAGICAL on a piece of white cardstock with my silhouette. I traced the letters on another piece of white cardstock, and filled in the spaces with the flowers I fussy cut. Then I popped up the cardstock with the letters cut out on top with foam squares. I love the dimension it created. I also wanted to use some of the Jen Hadfield word thickers, but the color didn’t really match my layout. I decided to alter them with heat embossing. I used VersaMark ink, rose gold embossing powder, and a heat gun to transform the thickers to fit my page. I actually heat embossed it twice for thicker coverage, and I think they turned out really well! I am a big fan of white space, and I wanted to keep the focus on the title and journaling, so I kept the other embellishments relatively simple. I added the acetate butterflies, some Maggie Holmes word stickers, and machine stitching. I love the way my layout turned out. I hope I’ve inspired you to make different products work for you. Hey friends and welcome! Today I have a layout share for the Hip Kit Club sketch challenge. There’s a new weekly challenge every Friday over on the Hip Kit Club Member Forum on Facebook. If you haven’t checked it out, I encourage you to head over there. There’s lots of inspiration, and you could win a $10 gift certificate to the Hip Kit Club store if you take part! The March Hip Kits are filled with such “spring-ie” goodness, I knew I wanted to make a spring layout. We were at our neighborhood park on St. Patrick’s day when I had a strong feeling of deja vu. My girls were trying to balance together on the sled-looking spring rider, when I suddenly remembered a photo that I took of them together on the same toy on St. Patrick’s day years ago. I love, love, love these photos! Of course I had to do a then & now layout. Look how much L & E have grown! 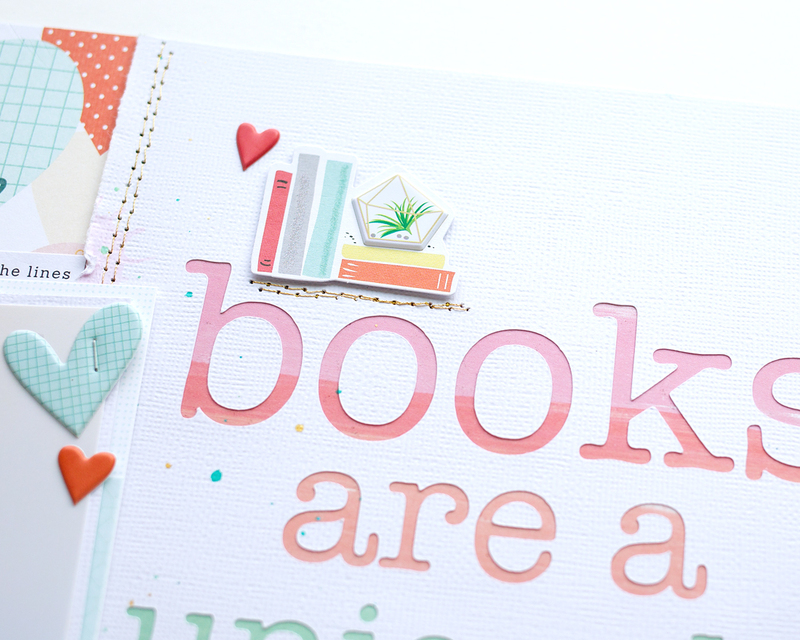 That word sticker at the top that says “all things grow with love” could not be more perfect for this layout! I also added a photo that included the baby at the bottom, because that’s the real now. I absolutely love the papers from the Main Kit (the floral is from Dear Lizzy) & the pink cardstock from the March Cardstock Kit matches them perfectly! I used the Vicki Boutin watercolors from the Color Kit to jazz up the pink cardstock a bit before I added my pattern paper layers. I love that there is a white included in the watercolor set…it allows you to really customize your colors! For my title, I used the handwriting thickers from the Embellishment Kit. I love all the butterflies from Jen Hadfield, which are included in the main kit. I finished off my layout with some word stickers that are in the Project Life Kit. I love how my layout turned out! I hope I’ve inspired you to get crafty, and I hope you stop by the HKC Member Forum on FB! Today I have a layout to share with you, using Hip Kit Club February 2018 kits. Last week’s theme was Flowers & Butterflies, and here is my take on the theme. This photo was taken for last year’s book character day at my daughter’s school. My daughters love the book “Fancy Nancy,” and we had all the items she needed to pull off Fancy Nancy already, so it was a win win! I used a bunch of Distress Oxide inks from previous color kits, which you can find here, here, and here, to create a rainbow background on a piece of white cardstock. I used one of the Hip Kit Club March cut files; this one is bugs designed by Jana. I chose 2 butterflies from the cut file, copied them in different sizes, and arranged them in a diagonal across my project. I cut it using my silhouette on another piece of white cardstock. That’s it for me! I really love the way my layout turned out, I hope you do too! Hey everybody! Today I have a Project Life product focus layout to share with you using the stickers and the ephemera from the February 2018 Hip Kit Club Project Life kit. 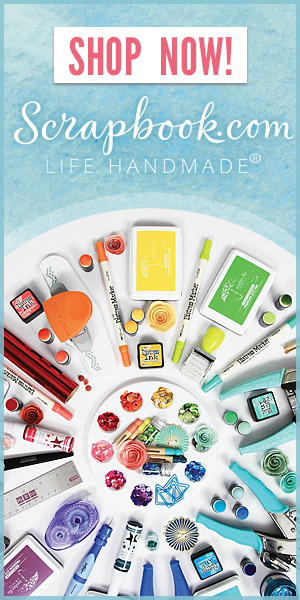 I love getting the HKC Project Life kit, because they are always jam packed with awesome products. I made a layout about last year’s book character dress up day at my daughter’s school. She loves to read, especially series, and she decided to dress up as Arya from the Inheritance Series. This month’s Hip kits are perfect for my book-loving heart! I love this book quote by author Stephen King, and I wanted to emphasize it in a big way, so I cut a big title using my Silhouette Cameo; I just used the stock typewriter font on my computer, and cut it from white cardstock. I was careful to keep the inside pieces of the letters, like the o’s, so I could glue them in place. All the kits this month are just fabulous! The patterns and colors of the papers in the February 2018 Main kit are gorgeous, the exclusive PL cards in the Project Life kit are perfect for layering behind photos, and I also love the Pinkfresh Studio puffy stickers. That’s it for me! I hope you like my layout! Today, I’m sharing a layout with you that I created, focusing on some Pinkfresh Studio frames and ephemera. I recently went on a “coloring crop,” and got to meet some talented card makers, which I blogged about here. Of course being a scrapbooker, I had to take pictures and document it. Ha! It was so easy to pull this page together, because we had a lot of product from the Pinkfresh Studio Let Your Heart Decide Collection. I love that Pinkfresh Studio Instinct paper! I have used it on several layouts already! I also love the white foam thickers from Paige Evans’ new Pick Me Up collection. I love the font, and the size is perfect too. I used bits and pieces from the Hip Kit Club February 2018 Main Kit, Embellishment Kit, and Project Life Kit. Well, that’s it for me! I hope you were inspired by my project. I am so excited to be staying on for another term with Hip Kit Club! The kits are jam packed with awesome goodies, the free cut files are a wonderful perk, and the ladies on the design team are all amazingly talented! I hope you continue to follow along my Hip Kit journey!